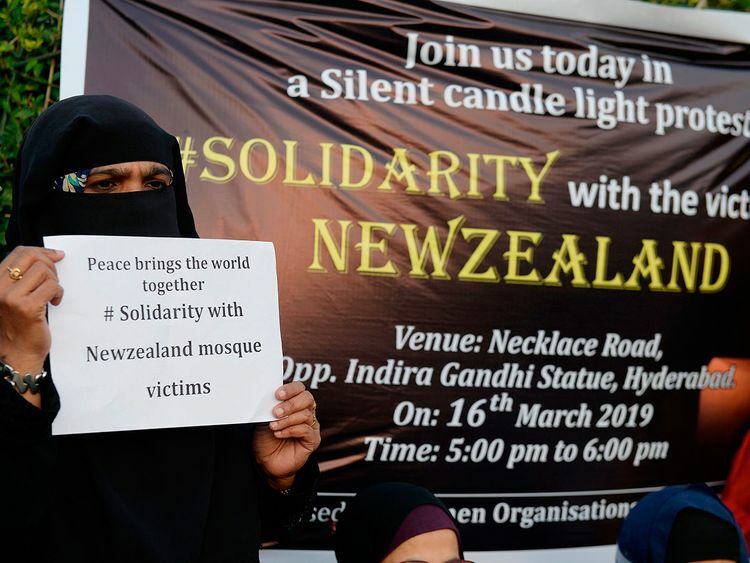 Hyderabad: The terrorist attack on two mosques in Christchurch, New Zealand on Friday has left the people of Telangana reeling as the number of victims from the state rose to three. They were among seven Indians who died in the attack on Al Noor mosque, Indian High Commission in New Zealand confirmed. Ozair Kadir, 25 year old resident of Noor Khan Bazar in old city of Hyderabad was the latest name in the list of the victims. Initially he was declared missing by the authorities but later he was identified among the dead. Earlier the authorities had confirmed the death of two persons from Telangana — Farhaj Ahsan, an engineer from Hyderabad and Mohammad Imran Khan, a restaurant owner from Karimnagar. Confirming the tragic news, Ozair’s younger brother Danish said that his eldest brother Omair, a pilot in a private airlines has reached New Zealand and was making arrangements to bring the body to the city. “We are stunned to hear this terrible, terrible news. My parents are in deep shock and unable to say anything. Our world has gone upside down”, he said. Omair Kadir was in Singapore where he heard the news of Ozair’s death and rushed to New Zealand. According to the family Ozair had gone to New Zealand for higher studies and after completing the course of aeronautical engineering he was undergoing training as a commercial pilot. “He want to follow in the footsteps of our elder brother”, Danish said. Ozair’s father is working in Saudi Arabia and has returned home after hearing the news of the death of Ozair. A large number of mourners including the area MLA Mumtaz Ahmad Khan reached their home in Noor Khan Bazar area and condoled the death of Ozair. In Toli Chowki area, another part of Hyderabad city there was a stream of mourners at the residence of Ahsan, an engineer who was living in New Zealand with his wife and two children for more than a decade. He left behind three-year-old daughter and a six-month old son. Ahsan’s parents and his in-laws have already left for New Zealand to attend his funeral and take care of his family. According to the family members Ahsan’s children have the citizenship of New Zealand and his wife got the citizenship only a week before the tragedy struck the family. Urgent visas were issued to Ahsan’s family members after the minister of external affairs Sushma Swaraj intervened on the representation of the local MP Asaduddin Owaisi. The third victim Imran Khan was running a restaurant in New Zealand for many years. The news of his death reached the family through social when the family members back in Karimnagar saw his face in the video of the incident. His father Mohammad Sayeeduddin has also left for the New Zealand to attend his funeral. “He will be buried there”, another family member said. His other family members who live in USA have also reached New Zealand. A fourth person from Telangana Iqbal Jahangeer, a resident of Hyderabad was also injured and was undergoing treatment in New Zealand. He was hit by bullet in chest. His family members have also left for New Zealand to be with him.